Traditional access control with the added dimension of radio: Our product line represents a completely modular approach. Your entry options are virtually unlimited. Telephone entry systems, keypads, and proximity devices can be integrated into a single network or furnished as individual sub-systems. Then, there's our specialty, radio technology, which can form the basis of an entire system or can be used to equip an existing site with remote keyless entry and panic button functions. Systems from one to 32 entry points: Whether you need access control for a small office building, a multi-gated residential community, or a sprawling university campus, we have a system that can be precisely tailored by capacity and capability. Locally programmable or computer-linked systems: We can provide a stand-alone system with its own software or access control that ties into other computer controlled systems. RS232 outputs allow Linear systems to be linked by computer for event/transaction logging or to other access control systems for remote radio capability. Remote devices and add-on features: Knox boxes, postal keys, request-to-exit devices, and many other devices can all be planned into the initial system or installed on a retrofit basis. 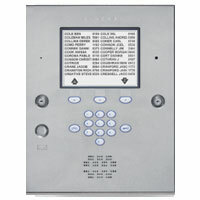 You'll find all the access control products you need from BEC.